Let’s talk about condensers. You see these amazing pieces of industrial equipment are really designed to just move heat from area to another. That is all that they do – but they are efficient, usually quiet and so important to our everyday world. And still most people just ignore them! 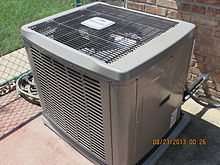 The word condenser comes from the ability to change a gas into a liquid and in this process the gas will up its latent heat and this in turn warms the coolant. 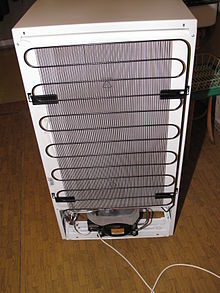 The more familiar condensing coils on the back of a domestic fridge.